Growing up farming in North Dakota and then working on the produce Docks in Minneapolis helped prepare Bill for a career in the Produce Industry. Then, after graduating from St. John’s University, Bill taught high school mathematics for two years. Starting with C H Robinson in 1971, and then working with A. Duda and Sons in 1976, Bill had a further opportunity to learn from the best. In 1980 Tavilla Sales Co. of L A was formed. Bill served as a Director of the Fresh Produce and Floral Council, is a past President of the U S Mexico Chamber of Commerce, served on the National Mango Board from 2014 - 2017, and as its Chairman for two years during his term. While overseeing Vision Produce Company as its President, Bill often can be found working his 90 acres of Organic Limes, Citrus and Avocados in Southwest Riverside County. Marsela McGrane - Vogel has worked for Vision Produce Company for over 15 years as the company’s Treasurer and Latin American Business Manager. As a first generation Mexican-American, Marsela has a passion for working with Growers throughout Mexico, Central and South America. Prior to joining the Vision Produce Company Team, Marsela spent 17 years working with Mattel Toy Company as their Director of International Trade. She worked with International Governments and Trade Organizations to help facilitate an open, unrestricted, International Market without trade barriers for both Mattel and Fisher Price Toys. Her diverse background and epicurean interests have made her a sophisticated and savvy international business professional for the Produce Industry. Marsela has lived and worked in North America, Latin America, the European Union and the Asian Pacific. She studied at the University of Houston and Graduated from University of Texas, Austin with a Business Administration Degree. and achieved a Masters in International Business from the University of Southern California (USC). Marsela is also serving as the Secretary of the National Mango Board (NMB), whose mission is to increase consumption of fresh Mangoes in the U.S. by bringing the industry together and educating consumers about the flavor, nutrition and health of Mangoes. Marsela enjoys International Travel and has a passion for Politics. She is the proud mother to four outstanding women and has had the joy of welcoming her first two grandchildren in 2018. Donald Souther is Senior Vice President of Sales and Marketing. He joined Vision Produce company in 2013. Donald graduated from San Diego State University with a B.A. in Social Work. 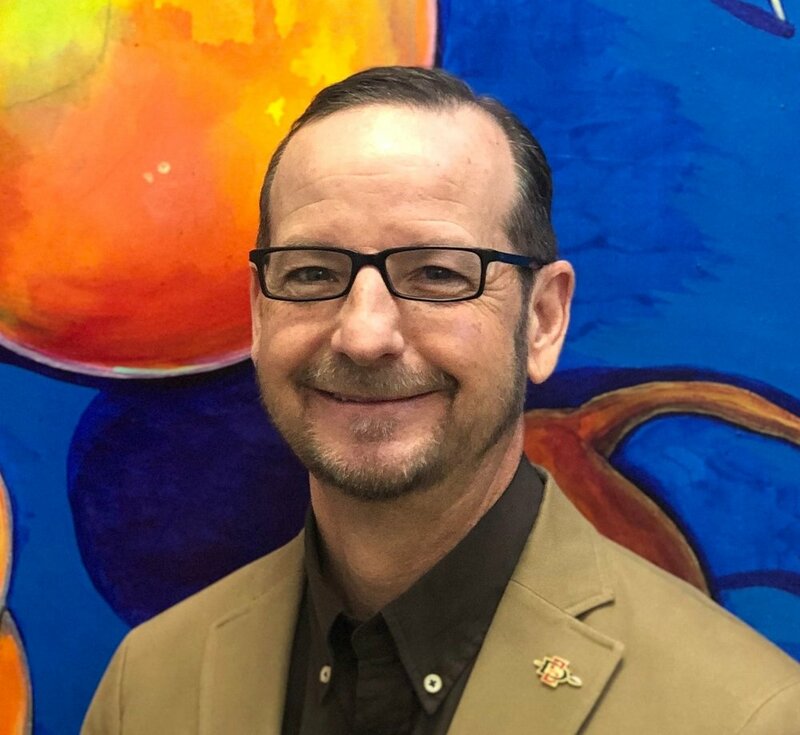 After a short stent with the County of San Diego’s Child Protective Services he transitioned into a Customer Service Manager position in the manufacturing sector. The next stepping stone was in the horticulture business starting in 2001 and then he transitioned into produce with North Shore Greenhouses in 2007. Outside of work he enjoys spending time with his wife and two daughters, running 5k races and hiking. Lance Nichols joined Vision Produce in 2013 and is currently VP/GM of the Arizona Division. Lance’s produce career began in the early 80s in a Safeway Produce department while attending college in Tucson, AZ. After 14 years with Safeway holding various positions from Produce Manager, Quality Control Supervisor to Buyer he moved to the vendor side. Prior to his Vision employment he managed a Del Monte facility in Phoenix for roughly 15 years. In his 35 years of experience he has had many travels from Nogales, AZ, South Texas, Kansas City, Kansas to Bellevue, WA. Lance has one son that resides in Flagstaff, AZ. He has a true passion for the outdoors and when not engaged in business will likely be found on a hiking trail somewhere. Dan Lawton is the Vice President at Vision Produce Company. Dan joined the company in 1999 and began managing the Tropical Fruit/Lime department since 2006. In 2007, Dan became a minority shareholder in the Company, and has gradually increased his ownership stake over the past decade. Dan grew up in Huntington Beach and graduated from Cal State University of Long Beach in 1993 with a B.S. in Marketing. He began his produce career with Dole Fresh Fruit Company in 1994 working as District Manager prior to leaving in 1999 for Tavilla Sales Company ( now Vision Produce Co.). Married to Karen, living near the Coast in Orange County, Dan spends most of his free time either traveling or walking the beach with his wife and their wheaten terrier, “Baci”. Nancy Betancourt joined Vision in 2007 and currently manages the Latin department. Nancy graduated from Cal State University of Los Angeles with a B.S. in Psychology. She began working in the produce industry with a few privately owned Los Angeles-based produce companies and was with Del Monte Fresh for approximately 16 years. Prior to working at Vision, Nancy managed a sales team selling Hawaiian pineapple for Maui Land & Pineapple Company. Nancy has over 30 years of combined experience in produce sales and management. Nancy has also been involved in the Fresh Produce and Floral Council committees for several years and currently serves on their Board of Directors. Nancy has been married to her husband, Peter, for 37 years and they have 2 grown sons. She enjoys running, reading, dining out and enjoying tropical vacations. Kevin graduated from Cal Poly in 1996, with a B.S. in Agribusiness Management. Upon graduation, Kevin started working in the produce industry with Del Monte as Quality Control Manager for the West Coast. Kevin worked with tropical fruit for 10 years between Del Monte and Dole and eventually was promoted into various district manager roles. Kevin traveled extensively during his first 10 years in the business, domestically and internationally. Kevin is only 8 states away from visiting every state in the U.S. After his tropical experience, Kevin was the Regional Sales Manager at EuroFresh Farms for 8 years. A state of the art greenhouse growing operation in Arizona with over 300 acres of tomatoes, cucumbers and specialty tomatoes. Prior to working at Vision, Kevin spent a quick two years with SunFed. A Nogales based company and major importer of winter veg and melons. Kevin enjoys spending time with his two sons, Brennan and Colin. Kevin coaches their soccer, basketball and baseball teams. Kevin loves to travel and his favorite place on the planet so far is Costa Rica. Kevin enjoys anything outdoor related. Hobbies include gardening, running, mountain biking, tennis, paddle boarding, back packing, camping and fishing. He is an avid Micro-brew drinker and loves to cook. Click the link below to reach our offices!